PRICE REDUCED! 160 Massive Acres (147+/- Net Acres) of Prime Residential, Flat Vacant Land in Apple Valley located in Fairview Valley! Owner Will Offer Easy Seller Financing! Panoramic Mountain Views surround this private rural estate with no neighbors in sight! 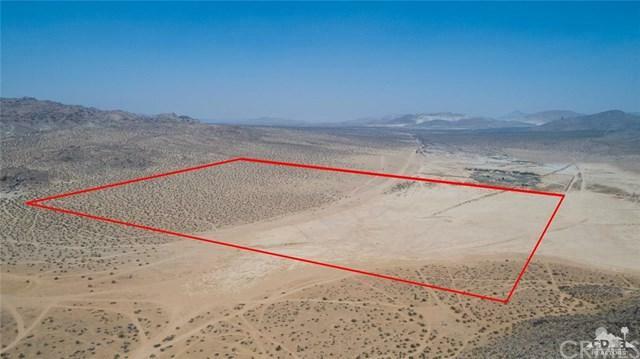 Partially located in a flat dry lake as well as higher sloped land topography w/Easy Road Access ! Zoned RL-20 (for 2 Homes per 20 Acres, totaling 16 possible residences). Uses: Single Family Residential, Mobile Homes, Off Roading, Recreation, Horses / Equestrian, Campgrounds, Temporary Music Festivals / Special Events (w/ Permit), Crop Production - Agriculture, Schools, Churches, Community Center, Animal Keeping, Nursury, Orchards & more! The property is located next the famous Circular Rock Path & Holiday Ranch Airport! NOT in FEMA Flood Zone! Get away from it all with this secluded off grid property all to yourself! Stunning Aerial Drone Video Available! Great Investment Opportunity! San Bernardino County APN # 0464-023-01.